Last week, on Thursday May 17th, H Burger opened on Pearl Street (the old Pinyon location) serving high-end burgers, fries, new school liquid nitrogen milkshakes, ice cream, bourbon and specialty cocktails. I was there on opening day so things were bustling and although everything was new, they were earnest, hard-working and my server knew the menu well. I had the turkey burger and really loved the sweet chili sauce it came with. Their lamb and burger meat are all local. 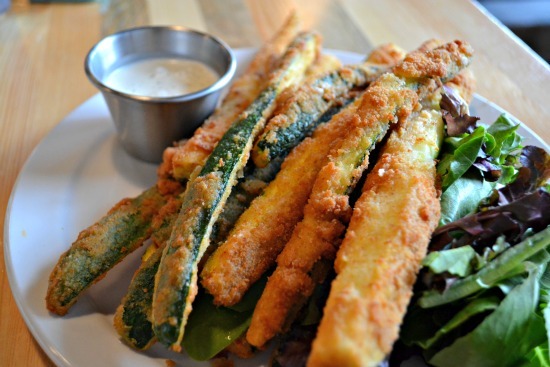 These zucchini fries were diesel and definitely meant to be split – there were at least 15 zucchinis. Nothing is frozen, everything is hand battered and fresh. The environment is bright with red walls and as I entered, they were bumping Naughty By Nature. 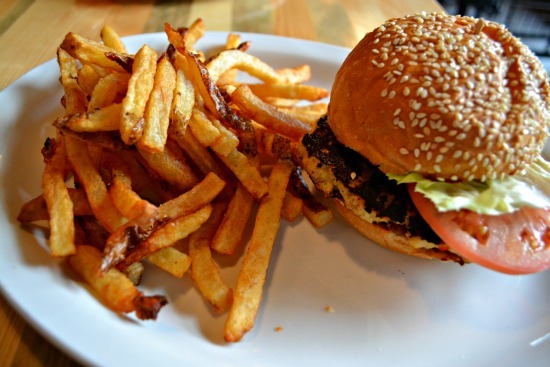 Keep in mind, H Burger is more of a boutique burger spot with full-service. 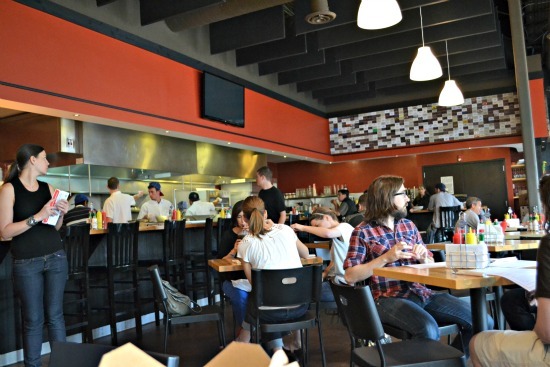 It’s still casual but don’t expect a cheap meal as they have a variety of options even including salads and sandwiches, but their burgers are higher end and unique. They’re also open later until 11 PM on weekends and 10 PM on weekdays, if you need some later-than-usual grub. Today, Wednesday May 23rd T|ACO (owned and opened by H Burger) opens on 1175 Walnut Street (the old BOP Pizzeria location). With Executive Chef, Matt Collier heading up the food they plan to serve ala carte tacos, fresh salsa, ceviche, tequilas and beers. They call it a “hip-ghetto” taqueria and you won’t expect to find any Mexican food like quesadillas here. The corn tortillas are all homemade and made in-house, daily. 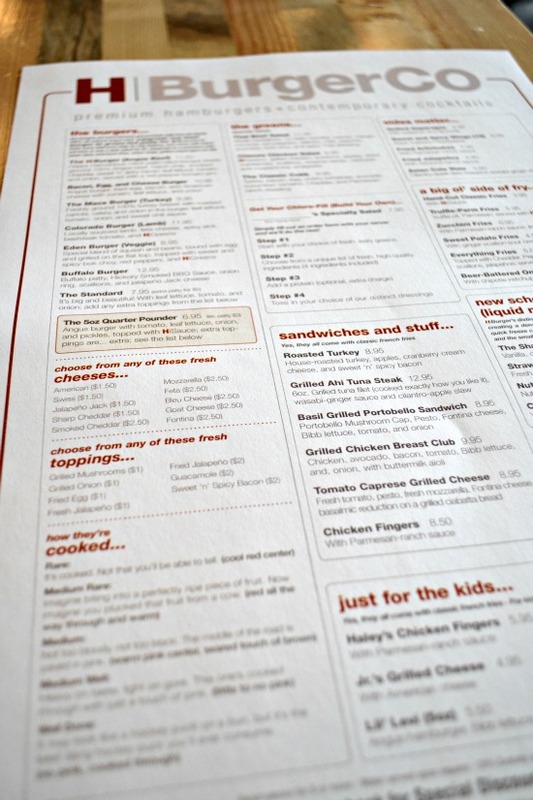 I like hearing that they also offer options for gluten-free and vegetarian, thus catering to the Boulder market. When it comes to beverages, they have high-end tequila flights, shooters, specialty cocktails, margaritas and a solid list of Mexican beers. 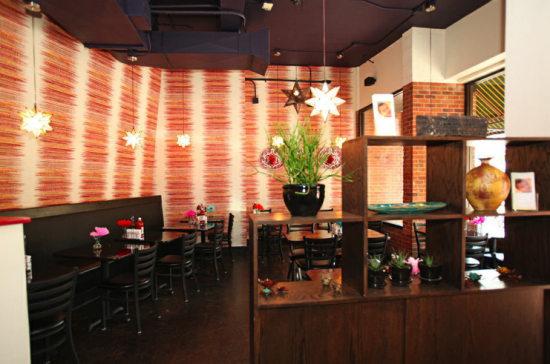 The 62-seat location expects to serve both lunch and dinner, with brunch in their future as well. I stumbled past T|ACO today. Smelled good! I can’t wait to give it a test drive. They should stay open until 2am.